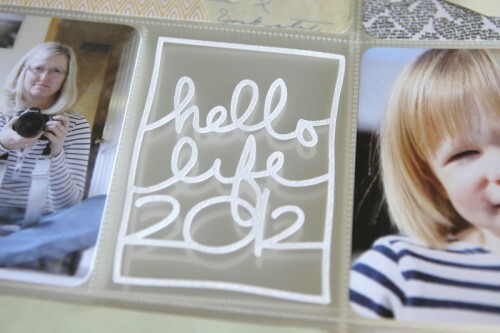 Welcome to Project Life 2012. Today I want to share my 2012 Title Page and a few thoughts, reflections and things I learned from my process in 2011. My final spread of 2011, Week 52, will be posted later this week. To say that I'm excited that I've almost completed all 52 weeks of 2011 is an understatement. To say that I'm ready to move on to 2012 would also be an understatement. I'm so ready and I'm so excited to be doing Project Life again. As I was cutting this piece of paper I was thinking to myself that I really need to cut my pattern paper more. 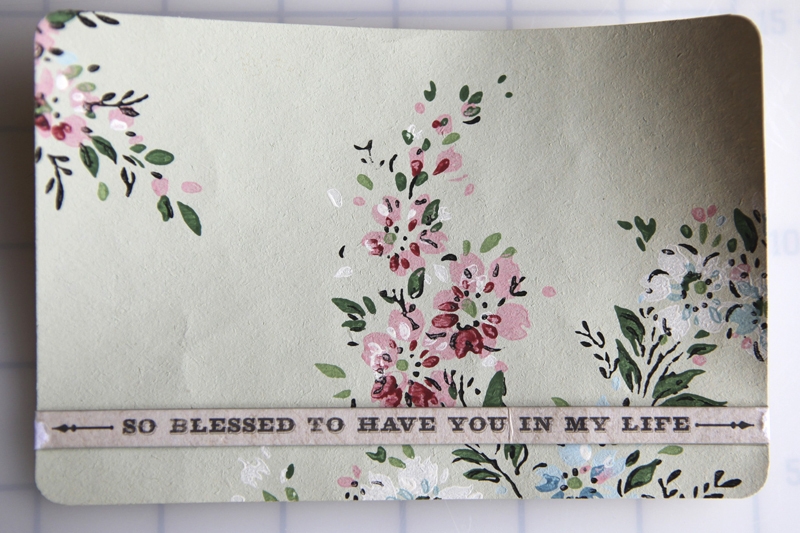 Here I took one of the Clementine core kit cards (includes the sentiment "living life one day at a time") and cut it following along the lines of the pattern. These little scissors from Fiskars were great at that task. That piece of paper was adhered to a piece of vintage handwriting paper and a bit of Hambly Wings overlay transparency. 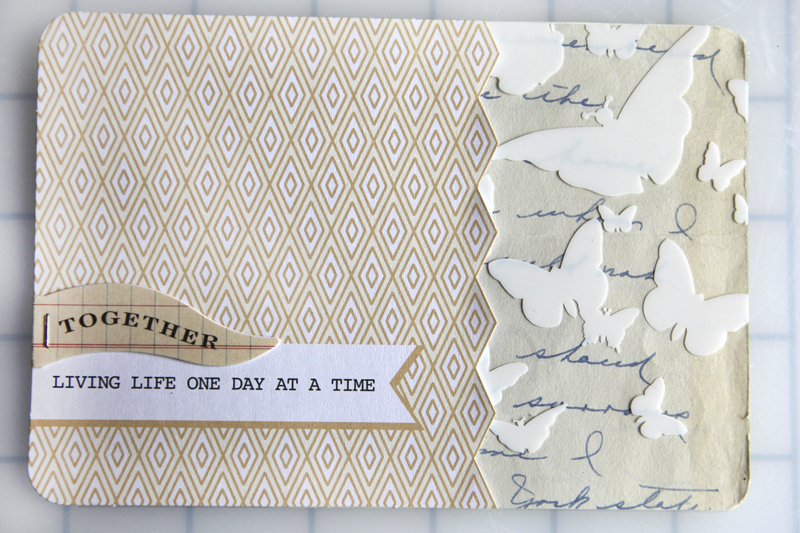 On top of the three pieces I added an October Afternoon Farmhouse Little Flyers. That awesome heart paper is from Fancy Pants (I think I'm going to get a few more sheets of that one). I used a sheet from the 6x6 paper pack but it's also available as a full size 12x12. The tag is a Superfine Soft White Hang Tag from Paper Source. On top of the tag I embossed the words "our story" using these jumbo stamps and white Zing embossing powder. The little "memories" tag is October Afternoon and was stitched onto the tag. Our last name was hand-drawn in Illustrator and then cut with the Silhouette. A piece of vintage wallpaper from Papier Valise with a piece of chipboard from My Minds Eye Memories Layered Chipboard Stickers on top. Background pattern paper with the yellow three is from Sassafras and a Hambly Wings overlay was placed on top. The piece of dark grey felt is from My Mind's Eye Everyday Fun Borders. I took the Everyday Life patterned card from the Clementine core kit and cut it - leaving one of the "everyday life" pieces sticking up. And this piece, cut with my Silhouette, is available here. 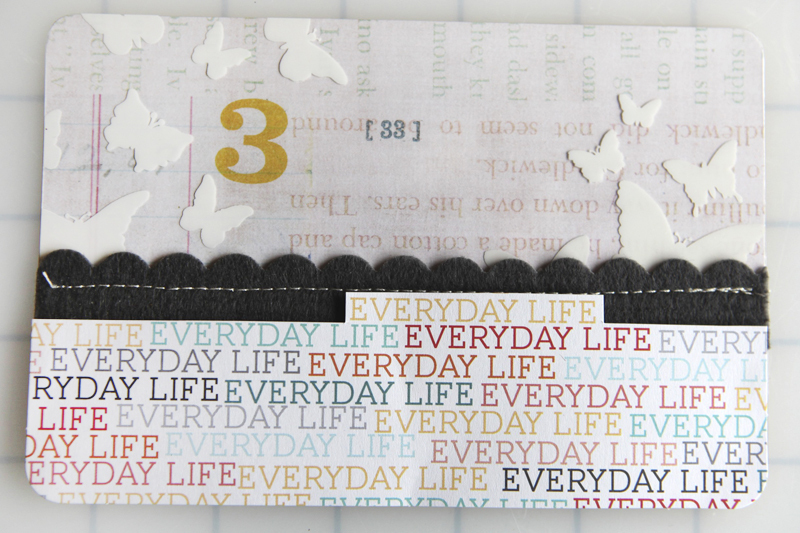 It's part of a package called Hello Life Boxes and also includes days of the week. 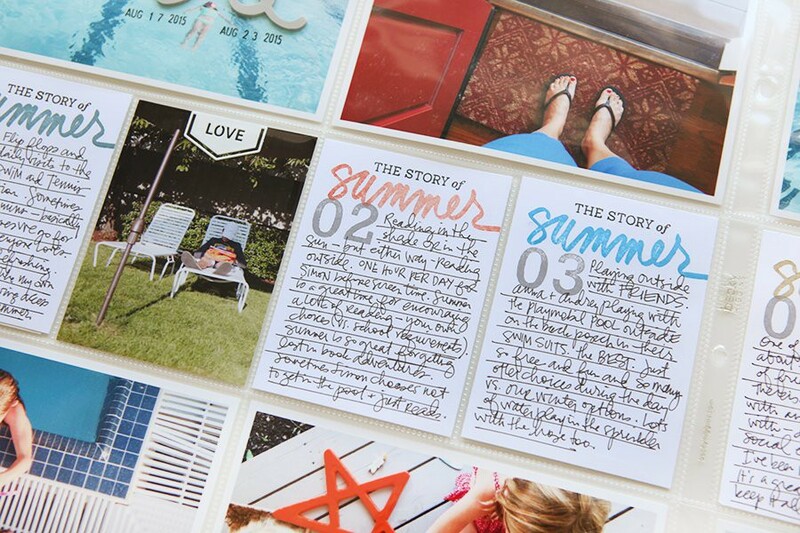 They work great as PNG files (just print and add your journaling - or add your journaling before you print) or can be cut with the Silhouette (just open the PNG file inside the Studio Software and trace - video tutorial available here). For more title page ideas you can take a look at my 2011 title page. WEEK AT A GLANCE | This approach absolutely worked for me in 2011 and it's how I intend to continue in 2012. I don't look at this project as one-photo-per-day or one-story-per-day. There's nothing rigid beyond intending to contain each week between a spread (two-pages). Some weeks I did end up with a photo-a-day and other weeks I had photos from all one event. Approaching it a week at a time felt free and flexible and there was no guilt about missing something on a particular day (who needs that). PROCESS | Most of the time I work on my album throughout the week - tiny bits of time here and there. When I write "work on" what I really mean is that I stick stuff in the pockets, quickly jot down stories on the journal cards, and print photos. Some weeks I printed photos during the week and other weeks I printed them all on Monday. One big thing that worked for me was posting each week on my blog on Tuesdays (most of the time) - what that meant for me is that I needed to complete my week on Mondays. 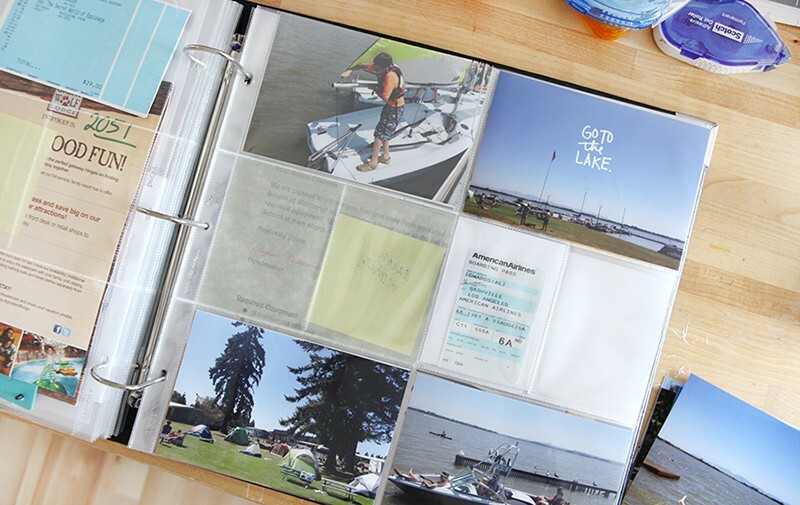 Completing my week means I print photos, add journaling if I need to, cut papers down to size that I might have just left sitting on the spread (fill pockets), photographing, uploading to my blog, and writing my post. I'd say most weeks I spend 2 hours (maybe 3) total. It really doesn't take a lot of time. I really did keep it pretty simple overall. Simple for me = finished. I LOVE, LOVE, LOVE THE BASIC "STYLE A" PAGE PROTECTORS | My Mom and I were talking about Project Life last week (it's what she wanted for Christmas) and at first she was talking about all the cool extra page protectors that she wanted to get. My advice to her was to start with the basic Style A (looks like it's currently sold out). I love Style A. I love it as my basic foundation and from there I can include additional page protector inserts as I need them based on the amount of content I want to include on any particular week. Most of the time when I added a page protector as an insert it was a smaller size: 6x12, 6x12 with pockets for 4x6, 8.5x11 (sometimes cut and stitched to fit an unusual size), etc. I like that the additional content was sandwiched between the two main pages for the week. INCLUDING REAL LIFE | As many of you know by now, 2011 was a year that included some really big life changes for us. I didn't include a lot of that in 2011 - partly because it was something I wasn't ready to make public and partly because this project is not my personal venting journal. My focus in Project Life is more on celebrating all the things that are good. That said, I did include a few things later in 2011 - short references to challenges, etc. so as to not completely ignore what's very real in my/our life right now. Going forward it's likely that I'll continue to include pieces of the more challenging stories but most likely it will be in a way that's reflective, looking for the good in the situation, lessons learned, etc. PHOTOS | To capture images I use my Canon 5D (also known as my "big camera"), my iphone, and occasionally my Instax 50. I'm absolutely loving Apple's new Photo Stream feature which is giving me immediate access to my iphone photos in Aperture (the program I use for photo management) wirelessly. I can also see and access photos I've uploaded to my computer from my big camera on my iphone. It's just one little thing that has simplified my access to all my photos. PRINTING PHOTOS | My photo process is now pretty set. I'm using an Epson Stylus Photo R2000 to print all my 4x6 photos using Epson photo paper. This is a wide-format printer that can also fit a variety of different sizes, including 4x6. When I set up my system at the beginning of last year I tried out a small 4x6 printer but it ended up not being truly 4x6 in size (it was a Selphy - and it sounds from what I've read from others that the prints are now true 4x6 - not sure - all I know is that they weren't on the machine I had last year). That bugged me. I wanted the picture sizes to be the same size as the cards in the kit and any other 4x6 pieces I was going to include so I ended up sharing that printer with a friend and using my regular printer in my office. I'm so used to it now and am totally happy with the photos. PENS | I use a combination of pens in Project Life. My favorite everyday pen (and the one that is often most available) is a Uniball Vision Elite. I also love to use Sharpies for a nice contrast and when I'm working in my office I often grab an American Crafts Precision Pen in .03. The vast majority of my journaling in this album is by hand - it's the quickest and easiest. There were some weeks where I included longer journaling (often using some of my printable Long Journlaers) - those words often came directly from blog posts (where I'm used to typing out longer stories) but most of the time I just used those small cards and made it fit. Those small little bits of recorded life is a big reason I love this project. BASIC TOOLS | Tiny Attacher for stapling, my printer, photo paper, pens, etc. I kept it pretty basic and am super happy with how it turned out. For me it was never really about any "decoration" and more about just getting stuff documented and keeping it simple enough to keep up with it for the whole year. CORNER ROUNDING | I rounded all my corners this year and plan to do that again in 2012. It's one extra step but I love the look. I've been using the Corner Chomper (the 1/4 corner) for rounding my corners. KEEP IT OUT AND AVAILABLE | Throughout most of the week my album sits on a counter in my kitchen. Having the album out and available to stick things in the pockets or jot down comments and things I overheard was huge for me. A big thing I love about this album is the immediacy of the journaling. It's not looking back last month, or last year, or longer. For the most part it's not reflective journaling - it's stuff that's happening right now; it's the little stuff that's really the big stuff of life. Seeing it everyday - on the way in and out of the house - helped me keep up to date. On the weeks when for whatever reason it ended up in my office my journaling was less in the moment because I was trying to go back and remember stuff from the week vs. the more in-the-moment daily stuff that I find I really treasure. THE FAMILY EFFORT | When I started back in January 2011 I wrote about how I wanted to make this project a family-effort adventure (you can read about that here). Even though it didn't really work out how I initially envisioned it, I still really like that initial vision of including all our voices whenever possible. I'll definitely be keeping that in mind again this year even as our family situation evolves. It's really pretty easy to just hand family members a card and say "write something about today." If they do it, awesome. If they don't it means I'll find something else to include. KEEPING IT SIMPLE | No over-thinking. No making it more complicated than it needs to be. The beauty in this project is in the whole vs. any one particular week. Some weeks will have less and some will have more. Some will be full of fun stuff and others super boring. Fill up the pockets and move on to the next week vs. worrying that you missed the "perfect" story or photo or anything else. Make it work for you. So excited to see your first page, it looks so YOU and wonderful!! Your added touches make it all warm and happy. The pictures you chose are perfect for each of you, especially Simon's. Thank you for sharing the whole process of what you did for this page. What a cool idea for ripping the paper, might have to try that. Great reading with all your thoughts on PL from 2011 and for this year. I love my PL and am looking forward to another weekly type spread again. Maybe you can have Simon start taking more pictures for this year, would love to see more of his thoughts and what he would take picture of, just a fun thought. Looking forward to another year of PL posts with you!! Ali I love your opening page, your always so inspiring, I'm not doing PL because we can't get it here in the UK yet, but once we can I might have a go love looking at what you do every week thanks for sharing, Hope you and your family have a wonderful 2012 Here's to you ! I couldn't get a kit last year so I did a DIY Project Life, it was harder work & I did get a bit behind, but I am almost up to date with my journalling & I have photos in for the whole year. I used We R Memory Keepers divided page protectors & baseball card page protectors & shopped my stash. This year I have the kit & am really looking forward to the ease of the kit but I am so glad I didn't miss out capturing all those memories & getting them off the camera/computer into an album the whole family enjoys looking at. Your opening page is beautiful. This will be my first year of doing PL (mainly because I loved watching yours emerge during 2011) and I'm really looking forward to it. Thanks for sharing your experiences and ideas. I'm doing Project Life 2012 for the very first time. Amazon UK will not have the Project Life goodies available until February at the earliest, so I plan to collate all my information and play catch-up when the binders and cards, etc. arrive. I've made a template to plan my weekly layouts and I'll do the journally on the plan for the time being. Love your title page. I will inspire for mine. I use Picasa each week for all my pictures, and i like it. I have no time to make another way. Thanks Ali. I love your title page. I am planning to join in for the first time this year, mainly because you make it look so easy. 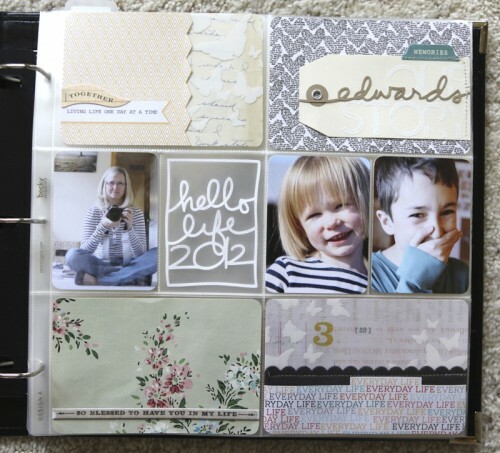 What method did you use to print the 3x4 individual photos on the title page? I can tell you how a very novice computer scrapper does the 3x4 pictures in photoshop. I crop 2 photos to that size...open a 6x4 file and drag the photos to that file...print and cut. It is super easy...others may have better directions but if I can do it anyone can. Most of my photoshop skills have been learned from Ali's videos...check them out. Thanks for the great inspiration.. I too finished PL for 2 years now and love that I have. 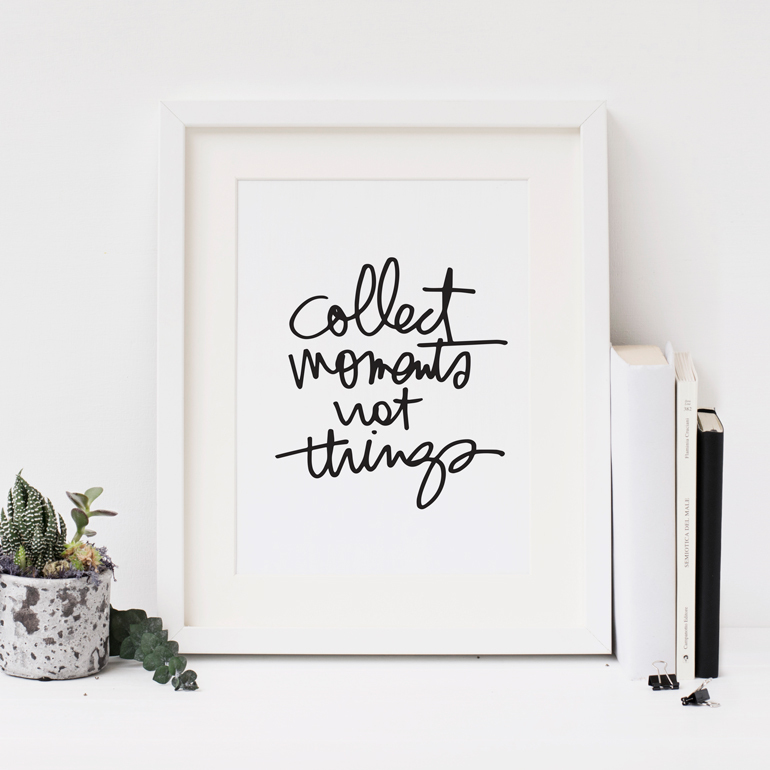 Even so I am excited to use some of your ideas to make it more 'in the moment'. When I go back to do the weeks after the fact I include almost no journaling so this year I am setting up a kitchen station. You are the best! Off to set up my area! Happy New Year, well done for facing the challenges head on and positively. All difficult situations have some kind of an opportunity, but not easy to see that for a while. I've been through it and it is what it is. Good Luck. A beautiful title page. I just love your work. I'm not quite ready to commit to project life, yet. I'm going to start with "Take Twelve" and OlW. This will be my first year of yearlong projects. Hi Ali! 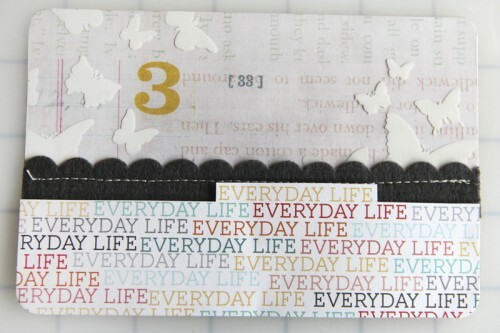 I also just completed my first Project Life album and am feeling a bit low energy about starting a new one...I have to say it is my favorite project (with my December daily) from 2011 so I really wanted to do it again. Your post about your upcoming project life was very uplifting! Thanks! 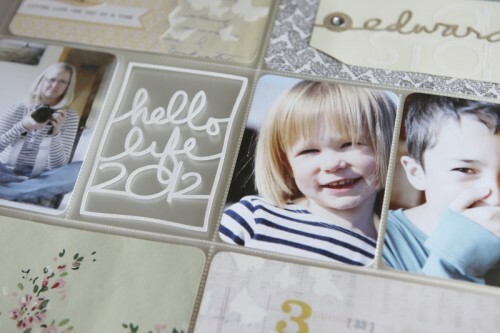 I'm going to do my first Project Life this year and am excited. One question I have (planning ahead) is how did doing PL and December Daily work? I am wondering if I will have enough to do both. Thanks. Ya know, I am so tempted to do this for 2012. I am over the traditional way of scrapbooking and with 2 small boys, there's bits of this and that all over that I could totally work into these books. ok, i'm doing it! I think you will really like it :). Keep it simple. I love how you did the first page of your project life this year and last year. I went with the pages they included in the kit since this is my first year, but I may go back and change those as my album evolves. I love looking at what others have done. Looking forward to doing this project so much this year. love the way you think ali..."keep it simple"! This is my second year doing PL and I'm so excited to start back! I I initially was pretty skeptical that I would be able to keep up with a whole year but actually found the prices very relaxing and enjoyable. I love to keep "stuff" but never really did anything with it. PL is perfect for the everyday! Thanks for all your inspiration Ali! I look forward to seeing your posts each week!! Ali - love your album. I love that you kept working on 2011 even though there were hard things going on. love that you share with us. I just think you are a great person and such an inspiration. can't wait to see what 2012 has in store for you. Sending my best for 2012! And as I am putting together my 2011 Album - I am realizing that I too love the Design A page protectors. I did more of a month by month PL in 2011, but thinking for 2012 I should keep up on it weekly. I think the link to your 2011 title page may be broken. Hi Ali, I got my kit (turqoise) via Canada - still unknown here in South Africa. Thank you for inspiring me to go for a papr PL this year. I think we all share in the excitement! So happy to purchase locally. The ladies here are VERY helpful. Can't wait to start! Hello Alida, we do have have project life here, now, I am waiting for mine! So, so excited to start again in 2012! Loving those OA little flags, too. I picked up two packs at Archivers last week. The end of 2011 was a bit slim for me, but I'm OK with that. Will finish that up today and call it GOOD. Hooray for Project Life! i've always loved how everything comes together so nice on your pages and projects. Thank- you for sharing. I'm curius about your pens Ali. Are they archival? I know sharpies used to end up yellowed after time. I love uni-ball pens, but I didn't know if they'd stay put! 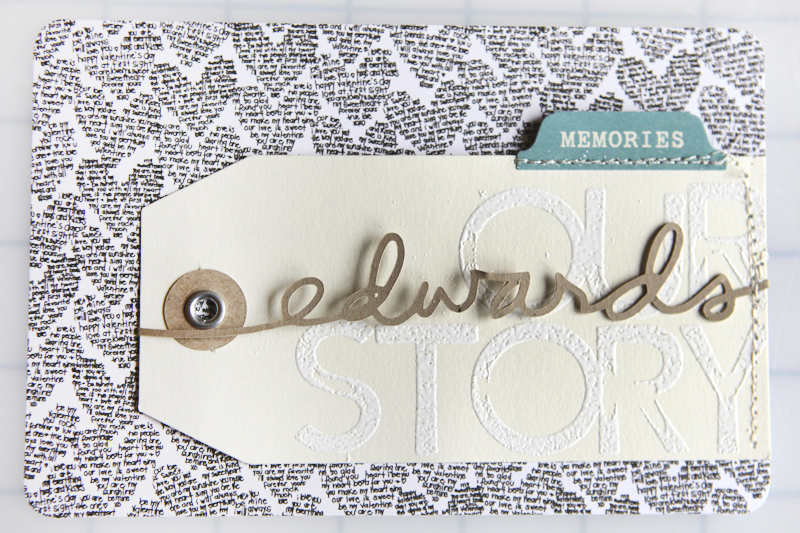 Thanks for sharing all the loveliness of your projects! I don't think the Uniball pen is - and am pretty sure the Sharpie is not. Not worrying about it all that much. Hi Ali....Thanks so much for sharing all this info! After doing a month at a glance album for the past two years.....I am ready to tackle PL in 2012. Seeing your posts on it this past year has inspired me. Your work is just beautiful! Wishing you all the best for 2012!!! Just beautiful Ali! I'm very excited to start my first PL. I got the turquoise kit for Christmas. I've been setting up my title page over the last few days and I know I don't want it to be exactly like Becky intended, I want it to be more me. I am just loving what you're doing with the Silouette. I def cannot afford to purchase that right now so do you know if I can cut your digital elements with my Cricut? Would love to learn all about what my machine can do. Also, can you show us more about the new photo streaming for Apple? I have an iMac like yours and would love to see all my photos on my iPhone like you described. Happy New Year Ali! Thank you for all that you do. I'm not sure. The manual doesn't say anything and I even tried googling it, but found nothing. The machine does however have a usb port (similar to that of my hp printer) so I'm wondering what it can do with my computer. In an old issue of SBE (December 2010) there's an article about electronic shape cutters. 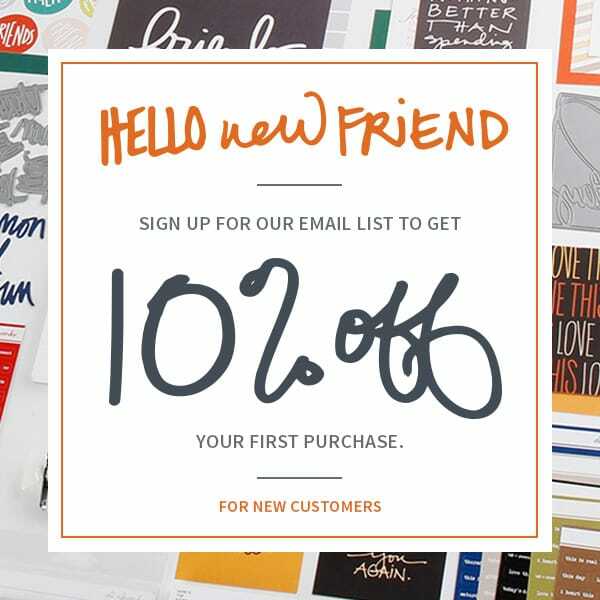 Under software, it says it can be connected to a computer if you use Cricut DesignStudio software, PC compatible. Hi Mallory - I don't know much of anything about the Cricut or the file types it needs. Does it have a trace function? I just ordered my PL and can't wait to get it. This is my first year. I love your "3" on the page. 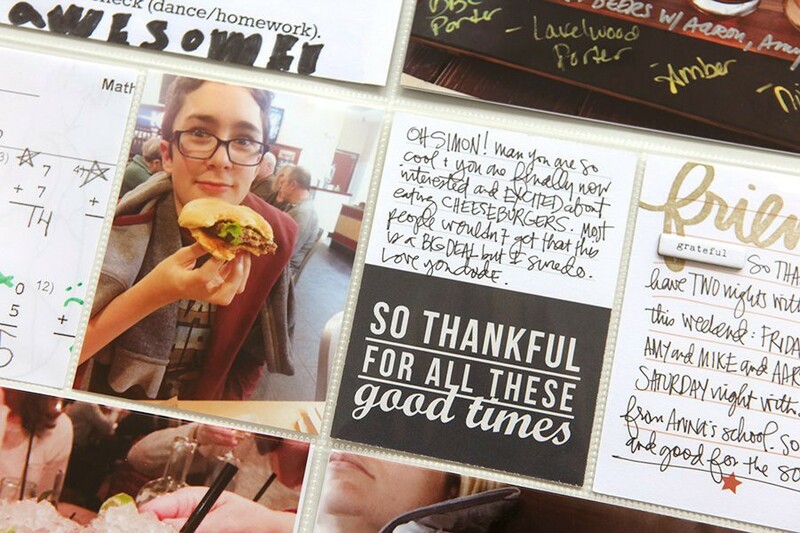 Our family has numbers that factor into our life, and I use them frequently in my scrapbooks. I love all the tutorials and instructions you offer, I probably wouldn't even do this if not for your inspiration, so it is very much appreciated. Thank you so much for sharing your process and being an inspiration for completing this project. I think the weekly view is an approach that will really work much better for me than photo a day. Thank you for reminding us that it doesn't have to be perfect! I'm excited to get started and know your weekly posts will keep me motivated.